Wherever you are, whoever you are, if you are Unitarian Universalist, or are in sympathy with the liberal religious project, then for your sake, and for all our sakes, please support your local congregation. Render of yourself unto the cause of a free faith. What do you render? Unto whom? And for what? When I preached on this topic last April at my home congregation, the sign out in front of the Fellowship announced the sermon title. Under the title was the name of the speaker. So what the sign said was: “Render Unto Rev. Garmon.” Oops. If, then, you render unto Caesar the things that are Caesar’s, and render unto God the things that are God’s, what would it be that you render unto me? Nothing at all but your kind attention for a spell, thank you. Ah, things go often awry. Words come out, and their meaning catches us by surprise. We think we’ve said something, done something, rendered of ourselves or given something, and it turns out we said, did, or rendered something else. Our gifts don’t always do what we’d wish. There is a satirical publication called The Onion. A couple months ago they ran a humorous “news” item suggesting that the “rendering unto God” bit doesn’t always come off right. Report: Majority of Money Donated at Church Doesn’t Make it to God. ‘Washington. A shocking report released Monday by the Internal Revenue Service revealed that more than 65 percent of the money donated at churches across the world never reaches God. Behind the humor is a good point: sometimes what we think we’re rendering unto doesn’t get there. For example, humans are not so good at rendering of themselves in ways likely to make them happier, more joyful, better. Consider this: average number of leisure hours per U.S. resident per week increased between 1965 and 2003. Yet research confirms what I think you intuitively realize: watching an hour of TV, with few exceptions, does nothing for your overall well-being. On the other hand research does show that an hour reading or an hour hanging out with friends does provide real satisfaction. Left to our own devices we cannot trust ourselves to automatically and thoughtlessly gravitate toward activities that we will later be glad of -- that we will, one day later, judge to have been time well spent. So we have to make ourselves think about it. We have to exert some "executive function" to make ourselves be deliberate and intentional about doing what will be best for our own well-being. One, be grateful. I’ve talked before about intentionally practicing gratitude (see “Gratitude and Faith”). One study, for instance, asked participants to write letters of gratitude to people who at helped them in some way. It made the letter-writers feel better over weeks and even months. Two, which is really the same as one, count your blessings. People who write down three good things that happened to them every week show a boost in their happiness. Four, use your strengths. Study participants asked to identify their strengths and then think of a new way to use that strength found that doing so really felt good. Five, help others. People who donate time or money to charity or who assist people in need feel great. Numbers 4 and 5 together are the components of generosity. Generosity is name of a way of living unfettered by felt needs for self-protection – a way of living in which we render of ourselves onto our world. Use your strengths and help others.What have you got, and where is it needed? Every word, every action, every gesture is you rendering the gift of who you are to the world. The unique and divine light shines from each of us, like the sun on a spring day. Could be anybody. Except St. Francis. Actually, St. Francis never said that. Lots of people have said it, and who said it first doesn’t appear to be known. Whoever actually should get the credit, the fact is that our lives constantly preach something to the world. What kind of gospel do you want your life to preach always, using words when necessary? And: how shall you render what you are, and what you have – always -- using money when necessary? While Hinduism and Buddhism and Judaism and Islam all have their share of messages about turning away from the things of this world, it is Jesus who has the greatest urgency about it. The Buddha’s ministry, his teaching career, lasted 35 years, and in that span we see his attitude shifting from a disdain with matters of the world to eventually accepting a gift of property where he and his monks could go each year to spend the rainy season. Had Jesus’ ministry and teaching career lasted as long, he, too, might have mellowed out. What we render of ourselves to the world doesn’t always come out like we planned. What we might think we were rendering unto God, or to goodness, sometimes doesn’t get there. It’s wise not to be attached to results. It’s also wise to discern thoughtfully about rendering of who you are and what you have. Unitarian Universalism is a faith worthy of you. 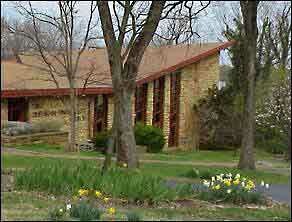 The members you will find at your local Unitarian Unviersalist congregation have made it so. Our centuries of free and thoughtful people coming together to make covenantal beloved community have made it so. We’re a gathering of people who have a sense of urgency. We know our kids need attention right now. We know justice calls right now. We come together for all kinds of reasons. Our faith is dynamic and questing. We come together with different beliefs, spiritualities based in nature, in humanity, in the traditions of Judaism, Christianity, Buddhism, or Paganism. We are an Open Source Religion. The deal you cut when we enter into covenant with your UU congregation is to remain present to each other, to learn from each other, to grow deep together. It is a dynamic manifestation of love, for each other, for ourselves, for this world. Why are we here? What is it worth? I think of how this faith, in the form of our Atlanta, Georgia congregation, when I was a kid from an hour away in Carrollton, engaged my mind and connected me with thoughts and people and possibilities exciting and beautiful and unlike anything back in Carrollton. I think of how this faith, in the form of our Waco, Texas congregation, when I was a young adult, gave my then-pre-school children a rich and warm extended family when their struggling graduate student Dad and schoolteacher Mom were far away from any other family. I’m so grateful that Fellowship was there for my kids. 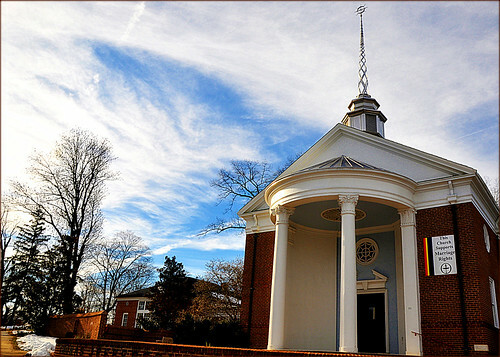 I think of how this faith, in the form of our Charlottesville, Virginia congregation put me on its board when I was barely 30 and asked me to figure out, with their guidance, what it means to be leader of beloved community. They asked – bless them! – and because they asked, I could say ‘yes,’ and discover to my astonishment that I am worthy to be entrusted with the great work of saving lives by growing a vibrant community of love and acceptance, that I am strong enough to give without counting the cost. I think of how this faith, in the form of my present Gainesville congregation has connected me with the beautiful and complicated souls striving to walk the path of liberal religion -- how I’ve been allowed to join with a number of them to do some real work for justice, to march together in Pride Parade, to march together in Martin Luther King Parade, to go together to Tallahassee for UU Legislative Day, to stand together to defeat a city charter amendment a couple years ago that would have allowed discrimination against Lesbian, Gay, Bisexual and Transgender people – and defeat it we did. I think of how a well placed question or challenge, and sometimes a word of encouragement has allowed me to go another step forward on my own spiritual journey, words that almost certainly would never have been spoken in any other place than in a Unitarian Universalist congregation. I hope you’ve had similar experiences. I know if you put yourself in the right places, you will. I so love this faith and its people. The programming that goes on at the Unitarian Universalist Fellowship of Gainesville – as at many UU congregations -- is strong. It’s a place where one can grow deep. This world is tragic because it is beautiful, and beautiful because it is tragic. Every person walking in the door of any of our congregations arrives wounded, yet capable of healing – right there, in our very midst. Ours is not the way of dismissal or disdain for the world. Our way of the open mind and full heart and helping hands affirms this world and this life – and its possibilities for justice, equity, compassion, and peace. And we, each in our own way, each as best we can, give of ourselves to make it happen, render unto one another what we are and have. Our congregations run on time, energy, talent from committed human beings. Our congregations can only exist because there are people who care and are willing to take on the various tasks that make us who we are. I do not say that. I ask that you not think about what your faith community needs. This isn’t about your congregation’s needs. It’s about your congregation’s possibilities. Take, for example, my Gainesville congregation. Even if Unitarian Universalism in Gainesville had to let me and all the staff go, shut down the building, and meet in small groups in one another’s houses, there is a chalice flame in human hearts that will not go out. Come what may, people warmed by the fire of liberal religion will find one another, and support and guide and teach and challenge one another, and draw upon the writings, ideas, music, prayers, and practices of our long history. Maybe not very well. But one way or another the chalice flame will burn in Gainesville, and I'm confident it will burn in your neck of the woods, too. So I do not speak in terms of your congregation's need. Relax. The flame will not be snuffed. It’s just that it might not shine very brightly. If your congregation right now is a brightly shining 100-watt bulb – no, wait . . . if your congregation is a brightly shining compact fluorescent emitting 2,000 lumens, it could shine only 1,000 lumens. Or only 200 lumens. Or less. There might be much less in children’s and youth programming and music programming and in a nice building and in worship and in outreach and in being a voice for social justice. On the other hand, while your congregation may be shining pretty brightly now, it could also shine a lot more brightly. It could shine with twice its present light, 4,000 lumens – or ten times or a hundred times its present light. It could expand its staff, and the programs they offer. It could keep the building in shinier condition. It could shine across your region for 100 miles in all directions like an enormous blazing beacon of justice and love, and life-saving community of covenant, not creed – an ever more bustling community of learning and spiritual aspiration and growth, a place whose members manifest deepening peace and joy, compassion and wisdom. There’s no limit to how much brighter the light of your congregation could shine. At the center of it is you: engaged and curious and outraged and committed and loving and spiritually awakened and alive and perfect you. All the money in the world won’t shine very brightly if the people don’t have what most of our congregations do have. Perfect, yet could use some improvement. How can you and I be perfect just as we are, and need some improvement at the same time? Because perfection is not a static state of affairs. It’s a dynamic developing process. Your own movement forward is an essential part of your perfection now. So I speak not of your congregation’s needs, but of its possibilities. And of needs, I speak not of your congregation’s, but of yours. Mine. Ours. Our need is to grow ever more deeply human, ever more loving and compassionate, ever more self-aware, ever more wisely discerning, and humble and grateful and generous. When we discern our giving to our congregation, we are enacting our own spiritual development, for a practice of generosity is a crucial part of any intentional commitment to nurture our spirits. It’s a double-whammy: the money lets your congregation shine brighter, and the giving of it makes its members a shining people. Y’know, if Bill Gates and Warren Buffett were to move to your town and become tithing Unitarians, there are a lot more things your congregation could do. John Travolta has a home just down the road from Gainesville. He seems pretty into Scientology right now, but you never know. That could change. A lot more funding would open a lot of possibilities for shining our light. Yet none of that would be worth it if the rest of the congregation stopped being a generous people committed to the development of greater generosity. If suddenly my congregation had new members giving a million dollars a year, or two million, or ten million -- and my congregation's budget went from a modest $327,000 to something phenomenally larger -- the generosity of every other member would be as important as ever. Why is that so? Two reasons. First, cultivating the love and generosity and gratitude that makes life fulfilling and meaningful requires, as we have seen, being intentional and deliberate about it. What percentage of your income is the right amount for you? I’m at 10 percent, and that feels really good: LoraKim and I will be maintaining that level. If you have been at 2 percent for the last several years, please consider what 4 percent would feel like. If last year you gave 5 percent, what would 6 percent feel like? It’s an intentional practice that hits on all five of what research confirms helps us be joyful. It’s an act of counting the blessings of our congregational community life together, an act of gratitude. It’s a way that the resources at your disposal can be put to good use, and to help others. It’s an act of optimism in the possibilities of our future. I do understand that congregations that have been around awhile will have settled into certain expectations. My Gainesville congregation has been around for 59 years, and it’s been at about its present size for something like 10 or 15 years. There are certain expectations about what will continue. There’s an expectation of a full-time minister, and a staff of at least three others -- an office administrator, and directors of our religious education and music programs – each at somewhere in the half-time to three-quarter-time range. There’s an expectation that the building we meet in and so enjoy will be maintained and be around for many, many more years, and that we’ll continue to pay the electricity and water bills to keep it warmed, cooled, and otherwise functional. We have expectations that our congregation will continue to pay its fair share in denominational dues to support the wider Unitarian Universalist movement. None of those things are needs -- for the way of liberal religion would shine on, albeit more dimly, without any of them -- though they are things my congregation has come to expect. In the end, it's not expectations that matter. Let me explain why not. Budgeting is relatively easy when our income is about the same year after year: continue meeting the expectations. If there’s a significant drop or a significant gain, then we face challenging discernment questions about the best use of the new level of resources: in the one case, what can we most afford to cut? Or in the other case, what would the most fruitful areas for expansion be? We would need to appoint a Task Force and hold a number of Town Hall Meetings and develop together a congregational discernment. Coasting along at about the same level as previous years avoids that bother. The bother, though, is a good thing. It’s healthy for us to be energized around discerning together our values, and how to balance them. Change – in either direction – forces upon us conversations that build relationship and strengthen community. Left to our own devices we humans do not automatically gravitate toward the best decisions. It’s good to put in the energy to be intentional. If your congregation or mine were to have twice the income it had last year, or if it were to have half the income it had last year, either way, there would be a shock to the system. Obviously, given your druthers, you'd choose the “twice” shock over the “half” shock, but shock there would be either way, and special processes would be called for to deal with it. Deal with it you would. The shock would pass. The ways you would develop to cope with the shock would be good for the congregation, and you'd recover. In a couple years, if the new income levels hold steady, you'll settle into new expectations. Ultimately, then, it’s not about expectations, however much our emotions are stirred by a sudden mismatch between expectation and reality. While arousing our passions may help a congregation engage more deeply in crucial discernment about strategies for advancing and supporting its mission, eventually that collective discernment gets made. I believe that we can trust it. We can trust each other to decide on the allocations of our resources that will best nurture spirits, that will best help heal the world, that will best transform lives, within and without the church building’s walls. Each of us, individually, has blinders, biases, hang-ups, baggage -- limitations of various kinds -- yet in an open and engaged process, these will balance out. The greater collective wisdom emerges. Time and time again in congregational life, I have seen how all of us is smarter than any of us. All of us is even smarter than me! A few weeks ago, on May 22, my Gainesville congregation, voted down the budget the Board proposed. The congregation is now engaged in a more involved and involving process of drafting a new budget. I trust this process. In the end, we will put our diminished resources to the best use – just as, in the end, we would have put increased resources to best use. That’s why I say it’s not about expectations. Whether income goes up, down, or stays the same -- whether expectations are matched, not met, or exceeded – I believe we can trust our processes to self-correct as necessary and, in the end, make the best allocations. That trust takes us back to: “no point of diminishing return.” If we set aside expectations, there is only the question: how brightly shall your congregation shine? Every dollar, whether extending beyond “expectation” or contributing to an amount that falls short of “expectation,” will allow your congregation to do exactly one dollar’s worth more of building an institution to nurture spirits and help heal our world. Never mind that you’ve had the dimmer switch set on 2,000 lumens for over a decade. How brightly shall your faith community shine now? Ever brighter would be good. Temporarily dimmer will be survivable. And status quo is . . . status quo. It’s up to you. Our congregations exist to nurture spirits. Cultivating generosity is crucial for that. 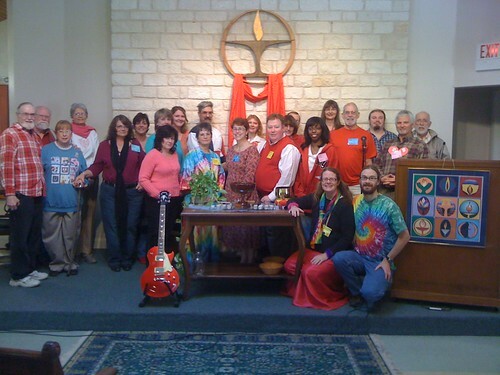 Our congregations are here to help heal our world. It takes joyful people to do that work. We belong together. Love is what we need -- to love and to be loved. These times are hard. What we do is more important than ever. Please stand by this faith. Please give to your local congregation your heart. Please give it your time. Pease bring to it the embrace of your gratitude, the fierceness of your hope, the courage of your love, and the joy of your highest and deepest and widest generosity. An earlier, shorter version of this was preached at the Unitarian Universalist Fellowship on 2011 April 4. I am indebted to James Ford's canvass sermon of 2011 March 6.